Home » Insurance » One judge’s clarity is another’s ambiguity. One judge’s clarity is another’s ambiguity. On June 4, 2013, the BC Court of Appeal reversed a trial decision in McLean v. Canadian Premier Life Insurance, 2013 BCCA 264,and in an unanimous decision allowed the appeal and held that the insured was entitled to the $1 million benefit provided by the policy. licensed to transport passengers for hire; and provided and operated (a) for regular passenger service by land, water or air, and (b) on a regular passenger route with a definite regular schedule of departures and arrivals between established and recognized points of departure and arrival; and provided and operated under a Common Carrier license at the time of Loss. One critical question on appeal was “whether the aircraft had to be flying on a regularly scheduled flight between established locations when it crashed to meet the definition of a Common Carrier.” The appellant’s argument was that the trial judge had improperly applied by implication a temporal element into all of the definitional components of “common carrier”. The Court reiterated the tenets of contractual construction in the insurance context and noted that “(a)n implied term should not be added to the contract unless it “goes without saying”, or is necessary to provide business efficacy. Nor should the court imply terms that render the express words of the contract meaningless, or contradict them. The onus to establish an implied term rests on the party seeking to rely on it”. Madam Justice Neilson, who wrote the decision, closely examined each conjunctive element of the definition of “common carrier” and held that, as phrased, the temporal requirement contained in one of these elements did not apply to them all. As such, there was an absence of any temporal requirement within the definition the aircraft be operating on a regular passenger route at the time of the loss. This gave rise to an ambiguity between whether an aircraft must, at the time of the loss, actually be flying on a regular passenger route to meet the definition of a Common Carrier, or whether it was sufficient that it be licensed to fly on such routes. Madam Justice Neilson also held that there was a temporal ambiguity as to whether the term “public conveyance” in the definition of “common carrier” required the aircraft to be operating as a mode of transport available to the general public (i.e. 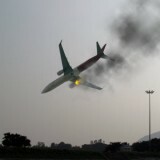 not a charter flight) at the time of the loss, or merely licensed and able to do so. While confirming that the principle of contra proferentem may not be used to create or magnify an ambiguity, Madam Justice Neilson ultimately found ambiguities in the “temporal” requirements in the policy’s definition of “common carrier”. Accordingly, this ambiguity was to be resolved against the insurer and in favour of the appellant to find coverage for the loss. Madam Justice Neilson noted that the insurer could easily have either created a clear temporal requirement for each of the required definitional elements of “common carrier” or created a clear exclusion for charter flights and that it must “bear the consequences of its failure to do so”. While this decision does not break new ground regarding the interpretation of insurance policies, Madam Justice Neilson’s detailed focus on the policy wording and reluctance to imply terms highlights the importance to carefully examine the precise language used in each case.